Dr. Edward Tangchitnob is a board-certified, fellowship trained robotic and gynecological surgeon. His father, Dr. Dumrong Tangchitnob has been an OB/GYN in West Covina for 30 years. Together they have combined their expertise in gynecology, sexual health, hormone replacement, and aesthetics to be the premier women’s health practice in San Gabriel Valley. Dr. Edward Tangchitnob has a special interest in combination therapies with CO2 laser and platelet rich plasma. With his background in electrical and biomedical engineering, Dr. Edward Tangchitnob teaches the physics behind laser technology as he is published in “Gynecological Applications of CO2 Laser” (April 2013). He and his staff are consistently improving their methods and are passionate about teaching physicians and providers. Dr. Edward Tangchitnob attended Webb School of California boarding school in Claremont, California in 2000. He completed his double majored in electrical and biomedical engineering in 2004 at Tufts University in Boston, Massachusetts. He went on to medical school also at Tufts University in Boston, Massachusetts. He completed an OB/GYN residency at the prestigious Cedars Sinai Medical Center in Beverly Hills, CA where he served as the executive Chief Resident. He went on to complete a fellowship in Minimally Invasive Gynecologic and robotic surgery with pelvic floor reconstruction at Scripps Clinic in San Diego, California. After graduating, he was recruited by his Citrus Valley Health Partners (West Covina, California) to serve as the medical director for the Center of Excellence for Minimally Invasive Gynecologic Surgery. He then went on to finish a business management program at USC Marshall School of Business with emphasis on healthcare management. He found Timeless Health Solutions, Inc and developed a teaching institute The TangchitnobMD Institute to teach physicians bioidentical hormone replacement pellet techniques with BioTe Medical, applications of platelet rich plasma, aesthetics and laser procedures. Dr. Edward Tangchitnob offers individual and group training for providers, staff for Femilift CO2 laser and Vampire procedures. 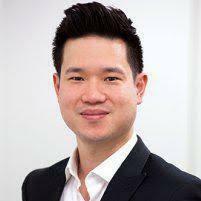 Dr. Edward Tangchitnob also includes a segment on the use of 4K streaming media technology and incorporation of YouTube media platforms to segment a practice’s preexisting population and recruit new organic patients online. The class was very informative and Dr. Tangchitnob is a great speaker. So inspired to see Dr. Tangchitnob (senior) in the same field. There is hope for the medical community. Thanks again. Thank you! Love the hands on! Thank you for lunch too/dinner too. Learned a lot about marketing and webpage appearance too. Gained confidence with my procedural skills as well. Informative!! Exciting!! Very hands on. Clear. Answered questions. Friendly fun staff. Very efficient. Great slides. Sandwiches were good. Unlimited coffee great! Thank you Dr. Tangchitnob for a wonderful course and for all of the great information I received today. Clear. To the point. Informative. Lots of hands on. Overall, I had a wonderful experience. The staff was warm and inviting, creating a stress-free environment for learning. Dr. Tangchitnob is an excellent instructor and educator. The class has a nice combination of didactics and hands-on training. I feel that what is taught in the course can be easily applied and started in our clinic. The extensive information taught in a clear simplified manner. The way the training is structured is great. Educational lectures followed by hands-on training allows us to quickly apply the material we just learned and keeps the energy levels up and helps retain the information. Small class size gives everyone equal time to participate and get involved in the hands-on portion. Dr. Tangchitnob verbal and physical communication skills are excellent. He makes the material easy to understand. His staff knows what they are doing and are very professional. I have learned a lot today. Dr. Tangchitnob is very knowledgeable and very patient and pleasant to do the teaching and guidance in detail. Also, the staff is very helpful and courteous. I would recommend this course to my colleagues. Thanks a lot to the two. Dr. Tangchitnob’s and Mrs. Tangchitnob. "Great training course. Very well explained and hands-on training. Perfect facility. Well support after training" - Dr. Salinda Johnson (Cosmetic Physician, London, England"
The way the training is structure is great. Educational lecture followed by hands-on training allows us to quickly apply the material we just learned and keeps the energy levels up and helps retain the information. Small class size gives everyone equal time to participate and get involved in the hands-on portion. Dr. Tangchitnob's verbal and physical communication skills are excellent. He makes the material easy to understands. The staff knows what they are doing and are professional. I have learned a lot today. Dr. Tangchitnob is very knowledgeable and very patient and pleasant to do the teaching and guidance in details. Also, the staff are very helpful and courteous. I would recommend this class to my colleagues. Thanks a lot to the two Dr. Tangchitnob's (Dr. Edward and Dr. Dumrong) and Mrs. Tangchitnob. Informative!! Exciting!! Very hands on. Clear. Answered questions. Friendly fun staff. Very efficient. Great slides. Sandwiches were good. Unlimited coffee, great! Thank you Dr. Tangchitnob for a wonderful course and for all of the great information I reviewed today. Dr. Tangchitnob is an excellent instructor and educator. The class has a nice combination of didactics and hands on training. I feel that what is taught can be easily applied and started in our clinic. Extensive information taught in a clear simplified manner.